SQUID JIG EN BATEAU AVEC RED CRABE TRAÎNE OCTOPUS. < span class = notranslate ' > 3.1. < span class = notranslate ' > 2.1. < span class = notranslate ' > 3.7. < span class = notranslate ' > < span class = notranslate ' 3.1 > 0. SQUID JIG EN BATEAU AVEC LE CRABE ROUGE SUR YAMASHITA TRAÎNE OCTOPUS. < span class = notranslate ' > 3.1. < span class = notranslate ' > 2.1. < span class = notranslate ' 1.3 >. BATEAU DE PÊCHE DE CRABES ROUGES DE SQUID OCTOPUS JIG AVEC SUCETTE. < span class = notranslate ' > 3.1. < span class = notranslate ' > 3.5. la langue utilisée pour conclure le contrat avec le vendeur est l’italien. Moulinet de Jigging vitesse unique. Mis à l’essai dans certaines du monde plus exigeants lieux que le Poséidon moulinets emballer un coup de poing quand il s’agit de gros poissons et moderne jigging et bateau tactiques de pêche. DAM STEEL RED POWER INLINER BOAT 2,10 m 50lbs tige de bateau Norvège. Top pêche dans les eaux profondes de la Norvège! Rod silences. Ligne de pêche. 74366 Kirchheim / Neckar. A & M Sport Fishing. Tables et chaises. Kufa floats will allow you to locate your trap or buoy marker with no trouble. Works great as a boat mooring buoy or trout line marker. CABELA'S TACKLE BAG AND GEAR 16x12x10. 3 FULL CABELA'S BOXES FULL OF BASS AND PICKEREL ATTRACTORS. 1 EMPTY SHIMANO BOX. REDBOAT BAG HOLDS UP TO 8 UTILITY BOXES. 1 PLANO BOX FULL OF SOFT BAITS AND FROGS. FLADEN SPARK A SET OF 6 RED SPARK GLITTER RIGS YOU WILL RECEIVE 6 RIGS RED SPARK 5 HOOK SIZE 1/0 PLEASE SEE OUR OTHER ITEMS FOR LARGER QUANTITY'S If you buy more items please wait for the updated invoice, we all ways try to combine postage Upon delivery of your item,if you are not 100% happy please e-mail us via the ask seller a question link and we will try and rectify any problem you may have. If you are happy with your purchase we would appreciate you leaving positive feedback and a 5 star rating. IF YOU HAVE TIME PLEASE View My Other Items For Sale. 5 X GUMMI MAC LURES COLOUR RED AND WHITE HERE WE HAVE 5 LURES APPROX 16cm LONG FITTED WITH BARBED 9/0 HOOKS AND IRIDESCENT TAILS GREAT FOR COD POLLACK AND LING YOU WILL RECEIVE 5 LURES PLEASE SEE OUR OTHER ITEMS FOR LARGER QUANTITY'S AND COLOURS If you buy more items please wait for the updated invoice, we all ways try to combine postage Upon delivery of your item,if you are not 100% happy please e-mail us via the ask seller a question link and we will try and rectify any problem you may have. If you are happy with your purchase we would appreciate you leaving positive feedback and a 5 star rating. IF YOU HAVE TIME PLEASE View My Other Items For Sale. BULL HUSS,DOGFISH, SMALL CONGER AND LING BOAT WRECK FISHING. FITTED WITH 1 X4/0 HOOK AND RED MUPPET ,LUMINOUS ATTRACT O R BEADS. THESE ARE A SUPERB RIG AND A MUST FOR ALL COD. 3 MUPPETS ON EACH TRACE. 5 X RED ABALONE OCTOPUS MUPPET RIG. HERE WE HAVE 5 SEA FISHING RIGS. HOOK SIZE 4/0. CREDIT/DEBIT CARD. 5 X GUMMI MAC LURES COLOUR RED HERE WE HAVE 5 LURES APPROX 16cm LONG FITTED WITH BARBED 9/0 HOOKS AND IRIDESCENT TAILS GREAT FOR COD POLLACK AND LING YOU WILL RECEIVE 5 LURES PLEASE SEE OUR OTHER ITEMS FOR LARGER QUANTITY'S AND COLOURS If you buy more items please wait for the updated invoice, we all ways try to combine postage Upon delivery of your item,if you are not 100% happy please e-mail us via the ask seller a question link and we will try and rectify any problem you may have. If you are happy with your purchase we would appreciate you leaving positive feedback and a 5 star rating. IF YOU HAVE TIME PLEASE View My Other Items For Sale. HERE WE HAVE 2 SEA FISHING RIGS YOU WILL RECEIVE THE FOLLOWING 2 X RED WINGED OCTOPUS MUPPET RIG 2 MUPPETS ON EACH TRACE APPROX SIZE 80MM LONG HOOK SIZE 4/0 TIED TO 0.60MM MAIN With action aplenty, these rigs should grab the attention of predatory fish and tempt them into attacking. The hooks are ultra-strong and sharp and with quality mono and heavy-duty swivels, these rigs will easily cope with multiple hook-ups. PLEASE SEE OUR OTHER LISTING FOR MORE COLORS AND SIZES If you buy more items please wait for the updated invoice, we allways try to combine postage Upon delivery of your item,if you are not 100% happy please e-mail us via the ask seller a question link and we will try and rectify any problem you may have. If you are happy with your purchase we would appreciate you leaving positive feedback and a 5 star rating. FLADEN LUMI RIG TUBE COLOUR LUMI RED YOU WILL RECEIVE 3 PACKS OF LUMINOUS RIG TUBE EACH PACK CONTAINS 1 METER OF 2MM TUBE ( 3 METERS IN TOTAL ) PLEASE SEE OUR OTHER ITEM FOR MORE COLOURS If you buy more items please wait for the updated invoice, we allways try to combine postage Upon delivery of your item,if you are not 100% happy please e-mail us via the ask seller a question link and we will try and rectify any problem you may have. If you are happy with your purchase we would appreciate you leaving positive feedback and a 5 star rating. IF YOU HAVE TIME PLEASE View My Other Items For Sale. Left Hand Wind Multiplier Boat Reel. Shakespeare Omni. Star Drag Ratio 3.8.1. Level wind. Fishing Kits. Capacity 300yds of 25lb line. Reels - Float / Feeder. Rods - Float Feeder. HERE WE HAVE 3 SEA FISHING RIGS YOU WILL RECEIVE THE FOLLOWING 3 X RED WINGED OCTOPUS MUPPET RIG 2 MUPPETS ON EACH TRACE APPROX SIZE 80MM LONG HOOK SIZE 4/0 TIED TO 0.60MM MAIN With action aplenty, these rigs should grab the attention of predatory fish and tempt them into attacking. The hooks are ultra-strong and sharp and with quality mono and heavy-duty swivels, these rigs will easily cope with multiple hook-ups. PLEASE SEE OUR OTHER LISTING FOR MORE COLORS AND SIZES If you buy more items please wait for the updated invoice, we allways try to combine postage Upon delivery of your item,if you are not 100% happy please e-mail us via the ask seller a question link and we will try and rectify any problem you may have. If you are happy with your purchase we would appreciate you leaving positive feedback and a 5 star rating. 25 x Perles Tulip, mer, bateau, la carpe, brochet, achigan de pêche. 5 X GUMMI MAC LURES COLOUR RED HERE WE HAVE 5 LURES APPROX 14cm LONG FITTED WITH BARBED 6/0 HOOKS AND IRIDESCENT TAILS GREAT FOR COD POLLACK AND LING YOU WILL RECEIVE 5 LURES PLEASE SEE OUR OTHER ITEMS FOR LARGER QUANTITY'S AND COLOURS If you buy more items please wait for the updated invoice, we all ways try to combine postage Upon delivery of your item,if you are not 100% happy please e-mail us via the ask seller a question link and we will try and rectify any problem you may have. If you are happy with your purchase we would appreciate you leaving positive feedback and a 5 star rating. IF YOU HAVE TIME PLEASE View My Other Items For Sale. HERE WE HAVE 2 SEA FISHING RIGS YOU WILL RECEIVE THE FOLLOWING 2 X RED WINGED OCTOPUS MUPPET RIG 3 MUPPETS ON EACH TRACE APPROX SIZE 70MM LONG HOOK SIZE 4/0 With action aplenty, these rigs should grab the attention of predatory fish and tempt them into attacking. The hooks are ultra-strong and sharp and with quality mono and heavy-duty swivels, these rigs will easily cope with multiple hook-ups. PLEASE SEE OUR OTHER LISTING FOR MORE COLORS AND SIZES. Right Hand Wind Multiplier Boat Reel(left hand shown). Shakespeare Omni. Star Drag Ratio 3.8.1. Level wind. Fishing Kits. Capacity 300yds of 25lb line. Reels - Float / Feeder. Rods - Float Feeder. 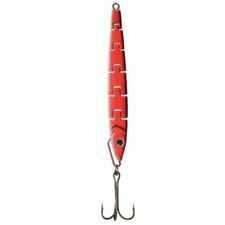 Triton boats red eye shad crankbait. New. FLADEN WASP FLASH 5 HOOK RIG 5 x TOP QUALITY FISHING RIGS FITTED WITH 5 x sz 2 HOOKS size 2 hooks 5 Hooks Per Rig RED YELLOW FEATHERS WITH TINSEL TAILS Tied To 0.40mm main Line GREAT FOR CODLING HERRING AND MACKEREL PLEASE SEE OUR OTHER ITEMS FOR LARGER QUANTITY'S If you buy more items please wait for the updated invoice, we all ways try to combine postage Upon delivery of your item,if you are not 100% happy please e-mail us via the ask seller a question link and we will try and rectify any problem you may have. If you are happy with your purchase we would appreciate you leaving positive feedback and a 5 star rating. IF YOU HAVE TIME PLEASE View My Other Items For Sale. 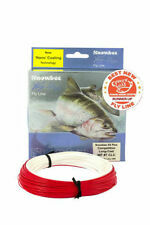 Th ese are great lures for all types of predatory fish Cod, Poll o ck, Bass, Pike, Perch. These shads are very successful when used for Pike and sea fishing. Perfect for Bass, Pollock and Cod. Can be used with a jig head, a single hook in a variety of sizes or treble hooks. Ideal for Jigging, trolling and casting. Up for sale vintage Ranger Boats patch snapback hat. In used worn shape, the inside foam is gone and may need to be cleaned to your liking. Please look at pictures for best idea of conditions. Ask any questions. Thanks for looking. HERE WE HAVE 2 SEA FISHING RIG YOU WILL RECEIVE THE FOLLOWING 2 X RED ABALONE OCTOPUS MUPPET RIG 3 MUPPETS ON EACH TRACE HOOK SIZE 4/0 With action aplenty, these rigs should grab the attention of predatory fish and tempt them into attacking. The hooks are ultra-strong and sharp and with quality mono and heavy-duty swivels, these rigs will easily cope with multiple hook-ups. PLEASE SEE OUR OTHER LISTING FOR MORE COLORS AND SIZES If you buy more items please wait for the updated invoice, we allways try to combine postage Upon delivery of your item,if you are not 100% happy please e-mail us via the ask seller a question link and we will try and rectify any problem you may have. If you are happy with your purchase we would appreciate you leaving positive feedback and a 5 star rating. 5 X GUMMI MAC LURES COLOUR RED AND WHITE HERE WE HAVE 5 LURES APPROX 14cm LONG FITTED WITH BARBED 6/0 HOOKS AND IRIDESCENT TAILS GREAT FOR COD POLLACK AND LING YOU WILL RECEIVE 5 LURES PLEASE SEE OUR OTHER ITEMS FOR LARGER QUANTITY'S AND COLOURS If you buy more items please wait for the updated invoice, we all ways try to combine postage Upon delivery of your item,if you are not 100% happy please e-mail us via the ask seller a question link and we will try and rectify any problem you may have. If you are happy with your purchase we would appreciate you leaving positive feedback and a 5 star rating. IF YOU HAVE TIME PLEASE View My Other Items For Sale. Right Hand Wind Multiplier Boat Reels(left hand shown). 2 x Shakespeare Omni. Star Drag Ratio 3.8.1. Level wind. Fishing Kits. Capacity 300yds of 25lb line. Reels - Float / Feeder. Rods - Float Feeder. This is a fast drop pirk with treble hook, split rings. GREAT FOR BOAT KAYAK WRECK FISHING. GREAT LURE FOR COD, LING, POLLOCK. GREAT PRICE FOR THIS LURE. BRIGHT YELLOW & RED 3D EYES. BUILT ON SUPER HEAVY 7/0 HOOKS. 3 MUPPETS ON EACH TRACE. 3 X RED ABALONE OCTOPUS MUPPET RIG. HERE WE HAVE 3 SEA FISHING RIG. HOOK SIZE 4/0. Make Supersized Seem Small. 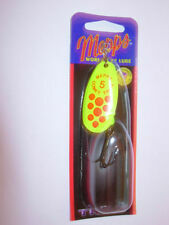 Ideal for making your own lures and pirks. Self Adhesive Plastic Eyes 8mm in Red 3-D. 8mm Red x 72 per card. 8mm White x 72 per card. Total eyes per card 72. 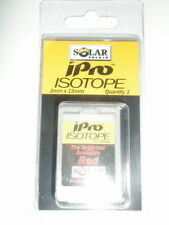 5mm Red x 154 per card. Red Wolf Boat Reel Multiplier. Pre loaded with 20Lb line. Graphite body and spool. Comfortable steady handle grip. Synchronized level wind system. Light weight construction. Was £40 now only £30. Vintage XL Ranger Boats "Forrest L. Wood" red wind breaker jacket. Nice shape for age, tag shows some wear. Please look at photos for details and condition. Thanks for looking!! !